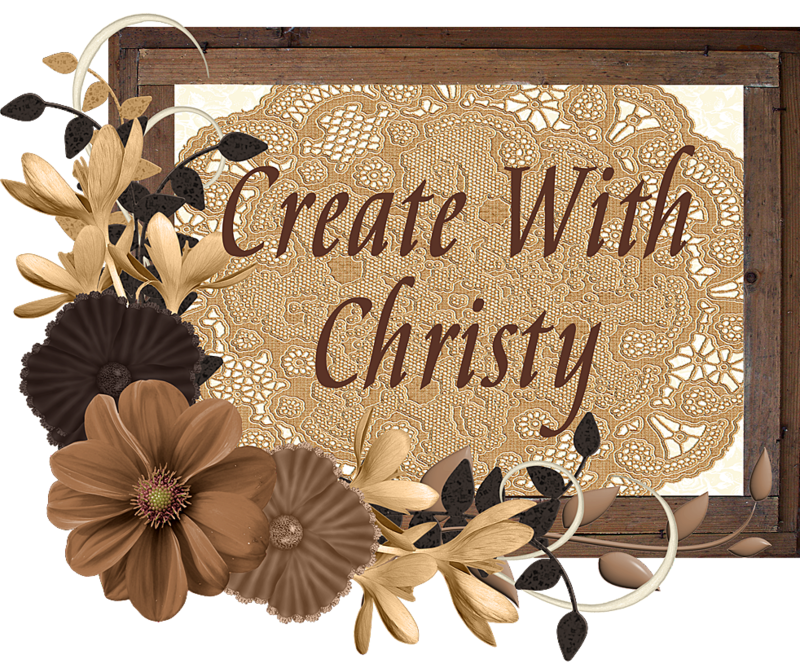 Create With Christy: My First Stampin' Blends Card! First off, I have an update about the Pining for Plaid Paper Pumpkin Kit. It's hard to believe, but these kits sold out in just over 30 minutes yesterday! I believe that's a Stampin' Up! record! I'm sorry to those that missed out. 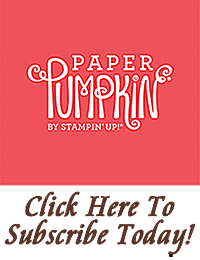 There is one way to ensure you don't miss out on any future Paper Pumpkin kits, and that's to become a Paper Pumpkin subscriber. If you subscribe by November 10, you'll be all set to get the November Kit, which is supposed to coordinate to the now sold out October Kit. You don't have to have the October kit to make the November kit, but knowing they coordinate means it'll probably be another great kit! 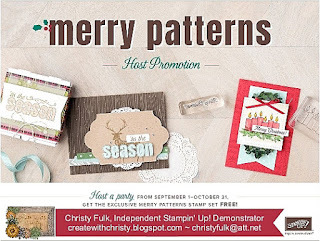 I finally got to play with my Stampin' Blends! I love how well they blend! I've loved this rose ever since I got the Graceful Garden Stamp Set, and I always wished that Stampin' Up! had alcohol markers again to color it in. My wish has come true! These Stampin' Blends sure make this rose gorgeous! 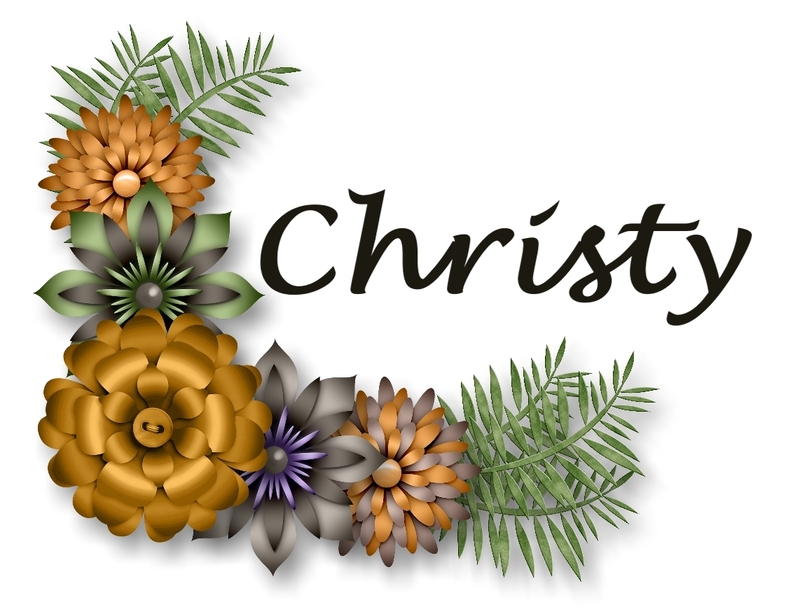 I used the Calypso Coral Stampin' Blends on the rose, and the Old Olive Stampin' Blends on the leaves. When can you get them, do you ask? You don't have long to wait...they'll be available to purchase next Wednesday, November 1! 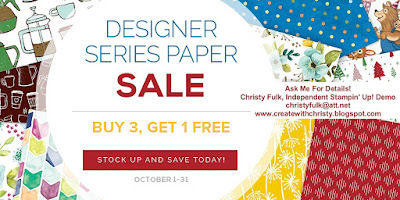 Love that beautiful Designer Series Paper (DSP) on the card? 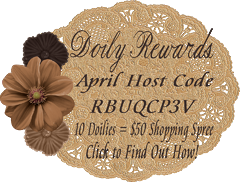 It's from the Petal Garden DSP Stack, and it's part of the Buy 3, Get 1 Free DSP Sale! You'll need to hurry, the sale ends in exactly a week...Tuesday, October 31! Petal Garden Designer Series Paper (DSP) Stack: 4" x 2"
Stamp the design stamp from the Graceful Garden Stamp Set onto the top, left corner of the Whisper White base layer using the Tuxedo Black Memento Pad. Attach the DSP layer across the bottom of this layer. Wrap the shorter Calypso Coral Ombre Ribbon piece around the Whisper White layer, right along the top edge of the DSP. 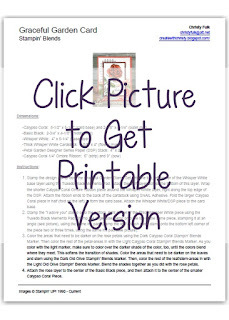 Attach the ribbon ends to the back of the cardstock using SNAIL Adhesive. Fold the larger Calypso Coral piece in half (fold on the left) to form the card base. Attach the Whisper White/DSP piece to the card base. Stamp the "I adore you" stamp onto the bottom, right corner of the Thick Whisper White piece using the Tuxedo Black Memento Pad. Stamp the large rose stamp onto the top of the same piece, stamping it at an angle (see picture), using the same ink pad. Stamp the leaf branch stem stamp onto the bottom left corner of the piece two or three times, using the same ink pad (see picture). Color the areas that need to be darker on the rose petals using the Dark Calypso Coral Stampin' Blends Marker. Then color the rest of the petal-areas in with the Light Calypso Coral Stampin' Blends Marker. As you color with the light marker, make sure to color over the darker shade of the color, too, until the colors blend where they meet. This softens the transition of shades. Color the areas that need to be darker on the leaves and stem using the Dark Old Olive Stampin' Blends Marker. Then, color the rest of the leaf/stem-areas in with the Light Old Olive Stampin' Blends Marker. Blend the shades together as you did with the rose petals. Attach the rose layer to the center of the Basic Black piece, and then attach it to the center of the smaller Calypso Coral Piece. Tie the larger Calypso Coral Ombre Ribbon piece into a bow, and trim the ends at an angle. Attach the bow to the lower, right edge of the flower layer, just above the greeting, using a Mini Glue Dot. 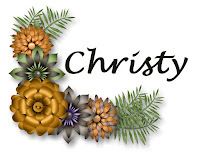 Attach the whole piece to the card, lining the bow up with the attached ribbon, using Stampin' Dimensionals. Note: The Stampin' Blends markers aren't included in the supply list, because they weren't available when I typed this.